A few weekends ago I, along with my mom and sister, threw a shower for my soon to be sister-in-law. We did a recipe themed shower. 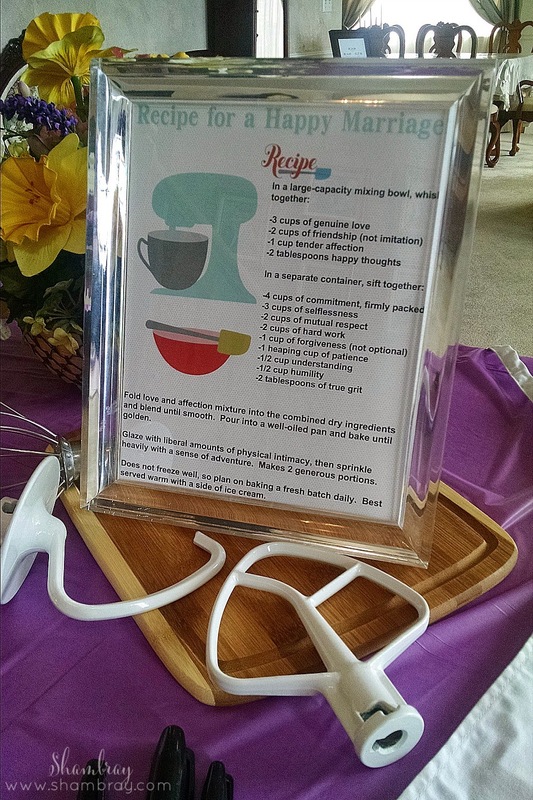 By that I mean we asked the guests to bring a recipe card (sent with the invite) filled out with their favorite recipe. They also brought any ingredients needed to make that recipe. 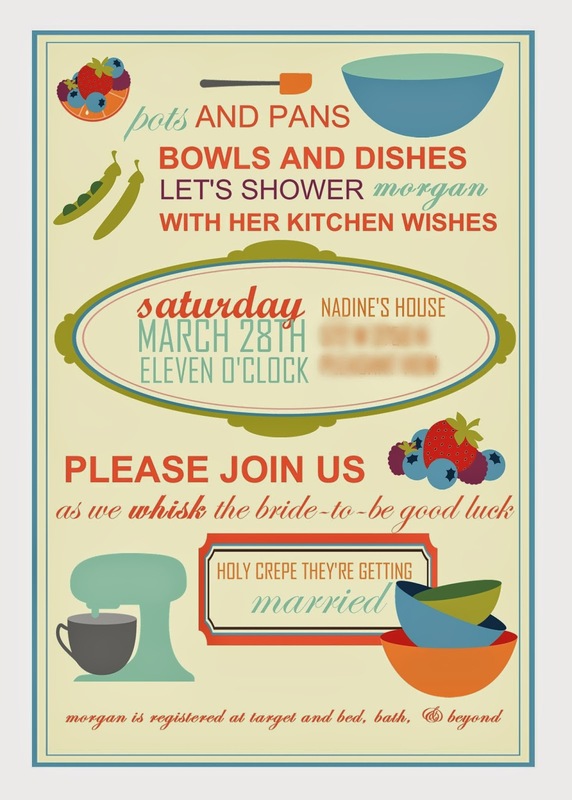 I made this invitation, but my inspiration came from this pin. It is no longer available in the Etsy shop so I decided to try and create my own. I think the original is phenomenal, but I was happy with what I produced. 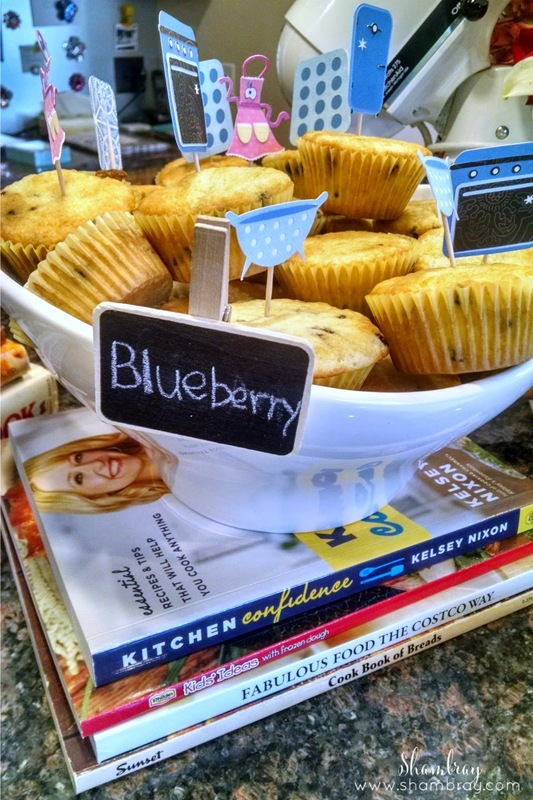 This cute recipe is what greeted the guests as they came in. Also, we had a white apron (you can see part of it in the bottom right corner) for guests to write the bride-to-be kitchen or general marriage advice. For some crazy reason I did not take a picture of that! There was some fun and great advice given. We served brunch for the guests. 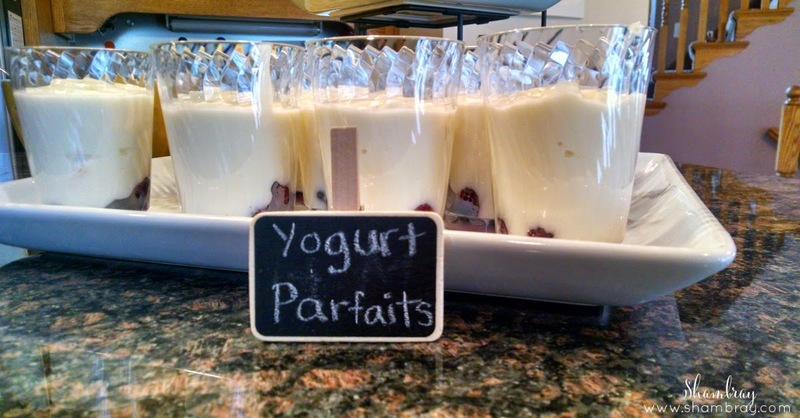 We had muffins, yogurt parfaits, strudels, and milk or water. You guys! 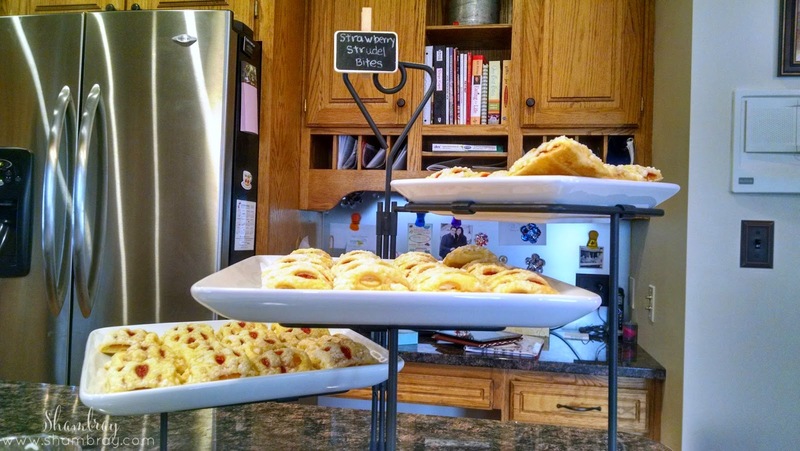 I may be kind of crazy, but aren't those muffin toppers to die for! I had so much fun making these with my Cricut Explore. I know I talk about my Cricut all the time, but seriously these were so easy to make and I loved them. We also used cookbooks at different levels to add different heights to the table. We wrote the food descriptions on chalkboard clothes pins. I had also seen tons of pictures on Pinterest utilizing the Kitchenaid as a vase for flowers and I knew I had to do that for this shower. It was so pretty and added a lot of color to the table. 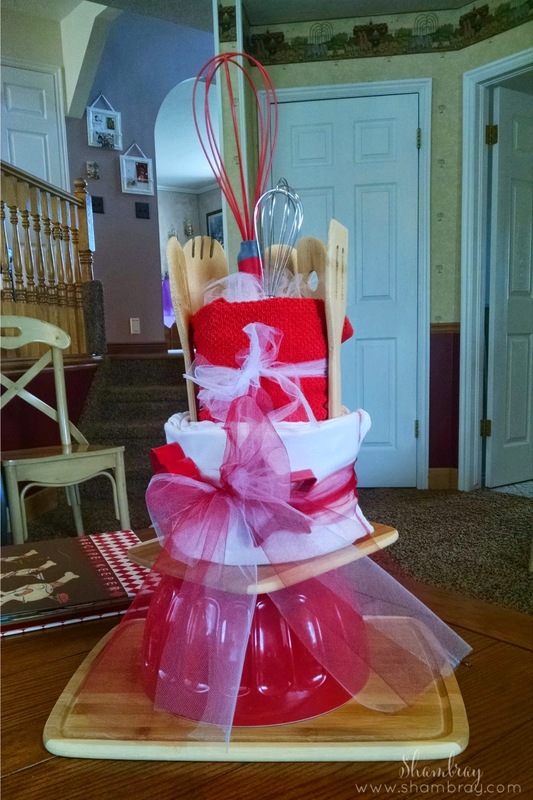 This was the centerpiece of the gift table. It is so easy to make (post coming soon) and it is a fun way to give ordinary things in a unique way. 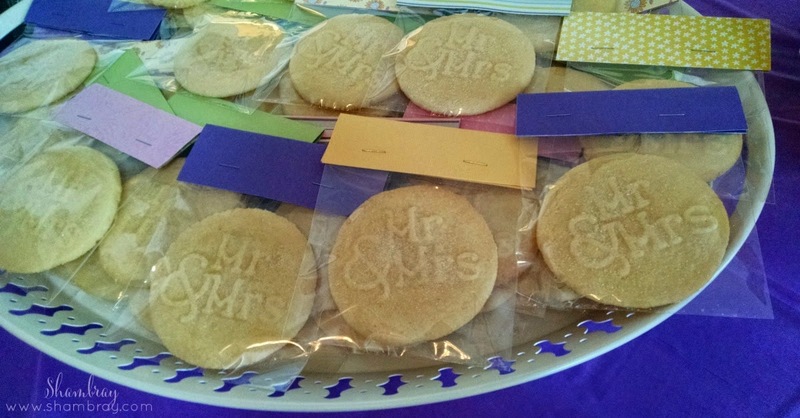 As the guests left the shower they took a Mr. & Mrs cookie as their party favor. 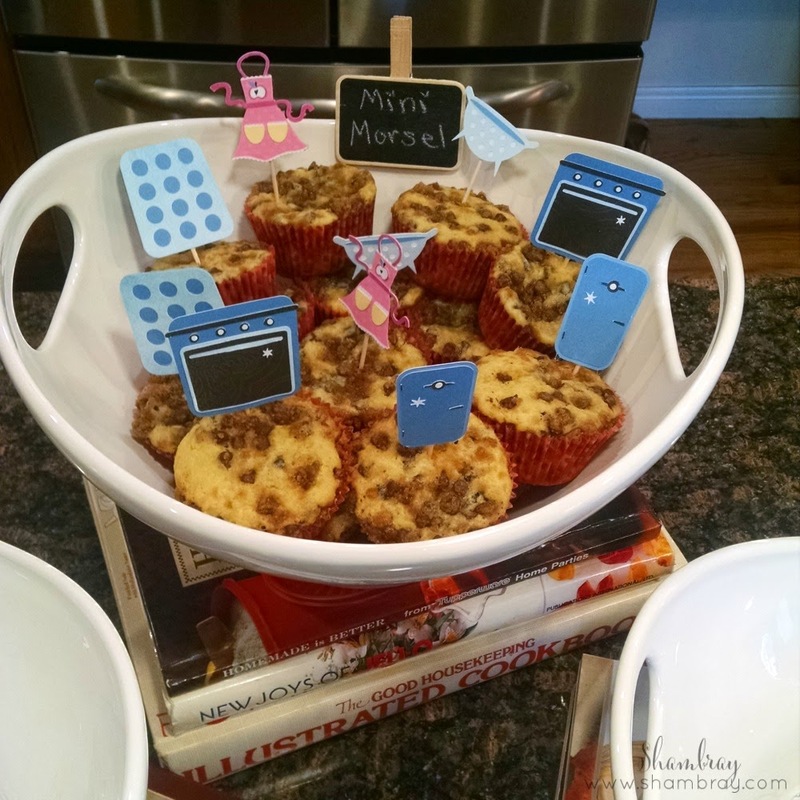 These are so fun to make with Stampin Up's cookie stamps. Hannelore even helped me make a few of these. 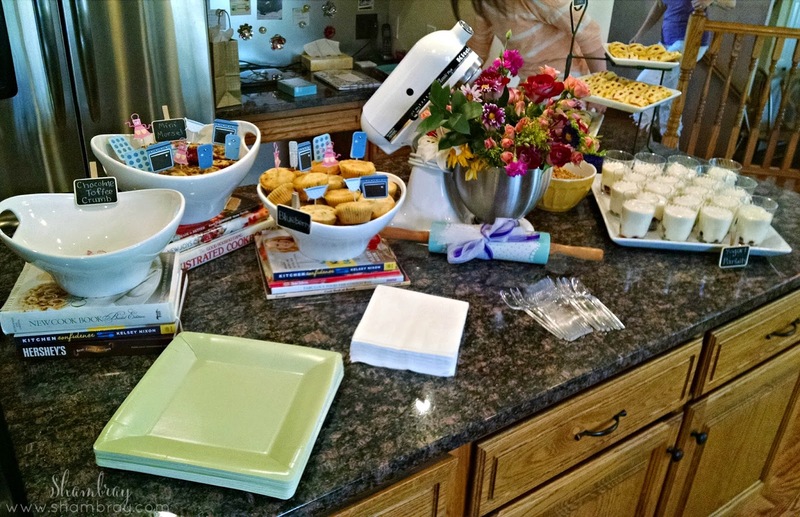 Overall, the bride-to-be got a lot of fun items to use in her kitchen along with food to stock her pantry and recipes to go with the food! What a totally fun shower idea. I had something similar clear back when I got married, but nothing this fabulous! 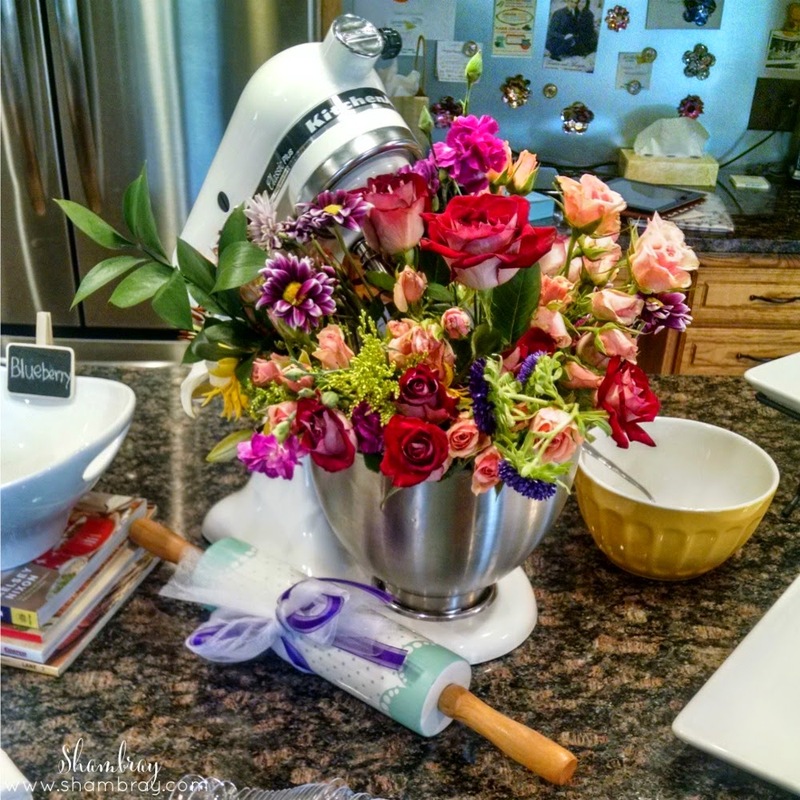 Love the flowers in your mixer! You didn't over look a single detail. Love it!